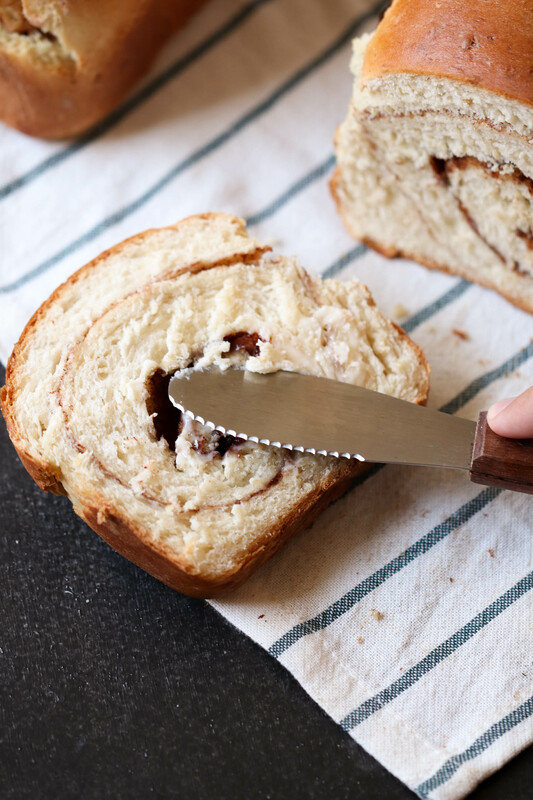 Make perfectly fluffy, delicious cinnamon swirl bread right in your own kitchen. 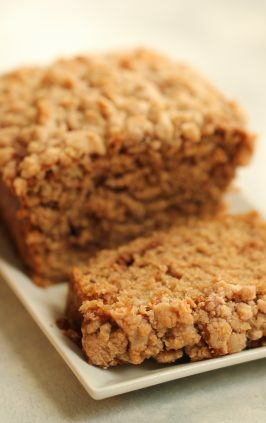 With just a few basic ingredients, you can whip up two loaves in no time - and leave your house smelling fantastic. Anyone else feel like making homemade bread is a little daunting? 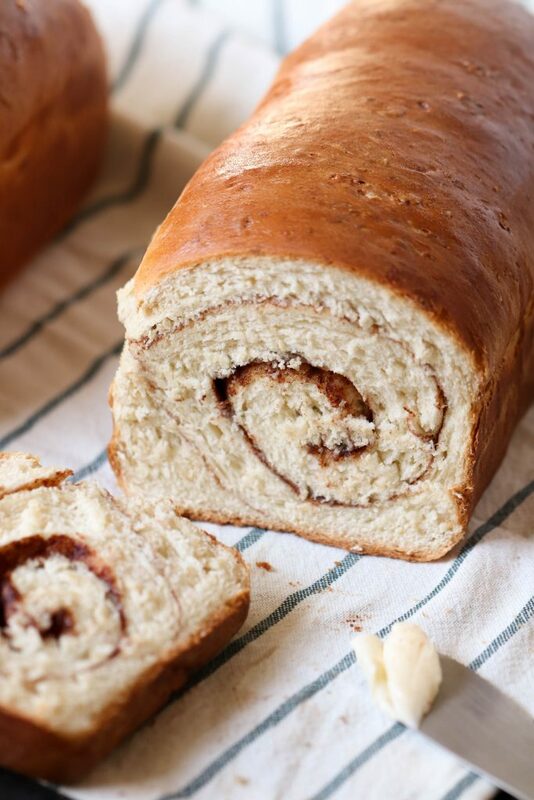 I used to think so, until I made this cinnamon swirl bread! It really only requires a few simple ingredients, and the end result is absolutely amazing, FRESH homemade bread. The best part? Your whole house will smell INCREDIBLE every time you make this. Plus, it makes two loaves, so it’s perfect for sharing (or saving for a rainy day). If you’re a little nervous, we’ve got some great tips for making fail-proof homemade bread. Your bread will need to rise TWICE. Once in a bowl, and once in the pan. While it’s rising, it should be in a warm area – but it shouldn’t be too hot. If you don’t let it rise two times, or it doesn’t rise long enough, your bread won’t be as light and fluffy. Make sure you knead your dough long enough. Dough that isn’t kneaded long enough (or well enough) will not be able to develop gluten, which will result in a flat, dense bread. 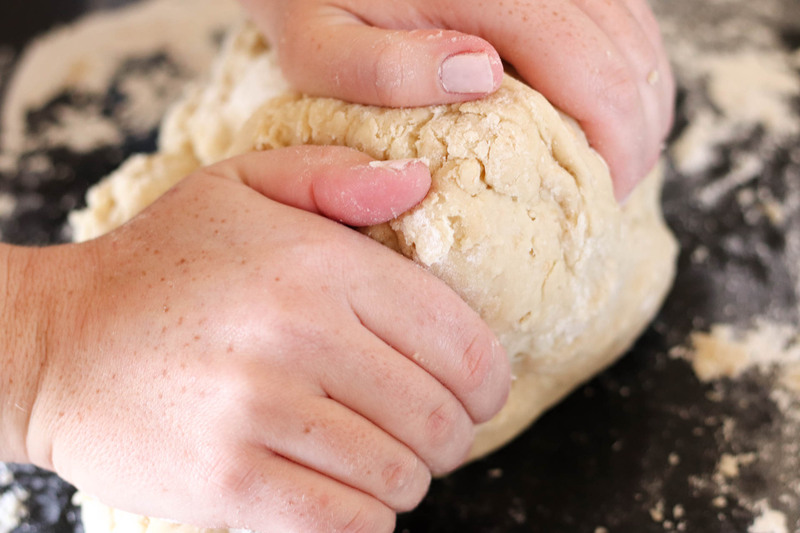 Whether it’s with your hands, or with a mixer, don’t be afraid to knead it! Don’t use too much flour. Adding too much flour will result in a dry, dense loaf of bread. The measurements in this recipe call for 7-8 cups. Start with 7, and add more as needed (you can always add more, but you can’t take it away!). 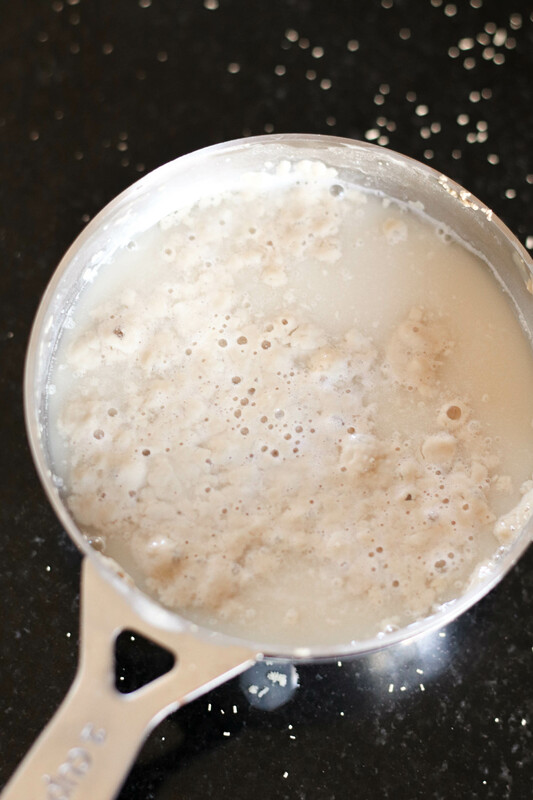 Mix the yeast with water in one cup measuring cup and stir until it bubbles. Set aside for 5 minutes. 2. 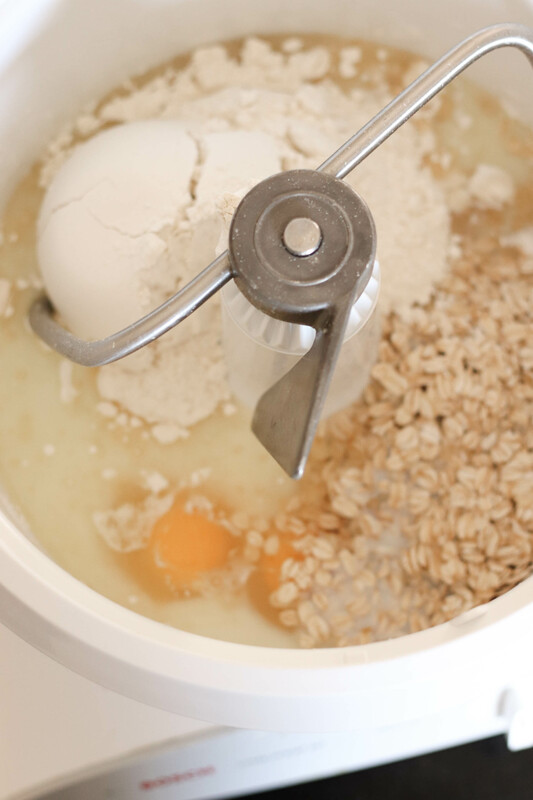 In large mixing bowl or mixer mix together the milk, oil, sugar, salt, eggs, oats*, and 2 cups of the flour (we mixed by hand or with a bread mixer). Then add in the yeast/water mixture to it and stir. Add the remaining 5-6 cups of flour and stir. 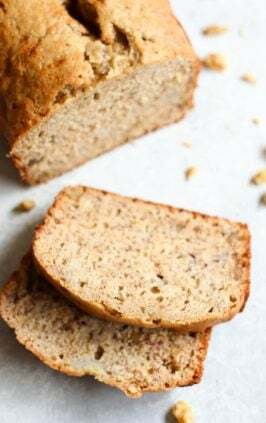 *If you are not adding in the oats, you may need to add in a bit more flour, but you don’t need to replace them with anything. 3. Turn it out onto a floured surface and knead for 10 minutes until smooth. Form into a ball and set in a greased bowl. Turn dough to coat. Cover with plastic wrap and let rise in a warm place for 1 hour. 4. 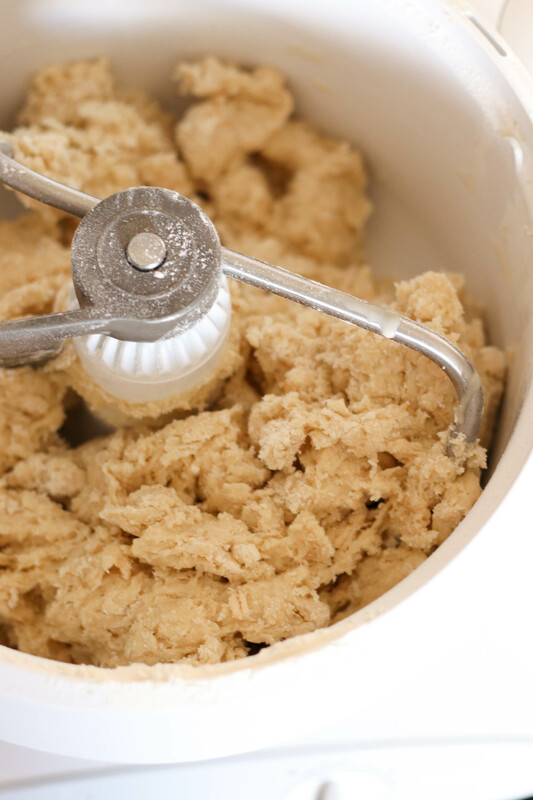 Punch down and take the dough out of the bowl and lay it on your kneading surface. Place the bowl over the dough and let it rest 10 minutes. 5. Divide the dough in half and roll it out (we rolled the dough out to be the length and 2-3 times the width of the bread pans we were using). 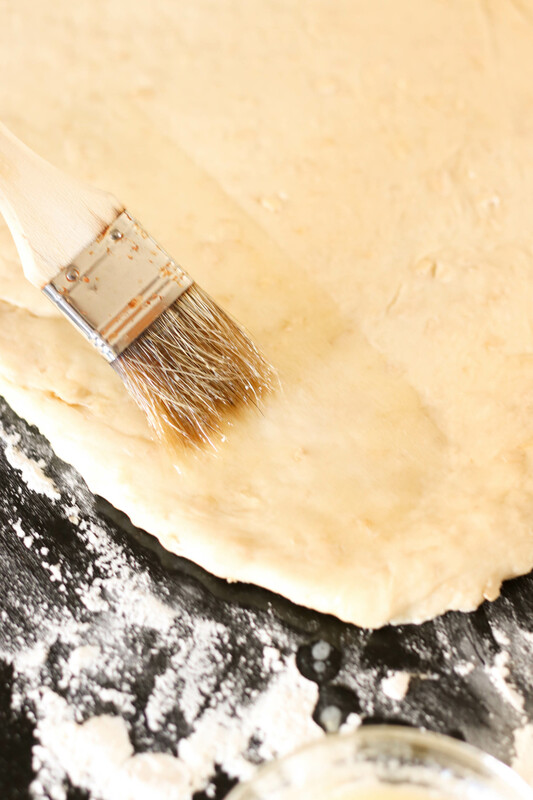 Brush the dough with melted butter. 6. Mix together the sugar and cinnamon and sprinkle half of the cinnamon/sugar mixture on top (the kids loved helping with this part!). 7. 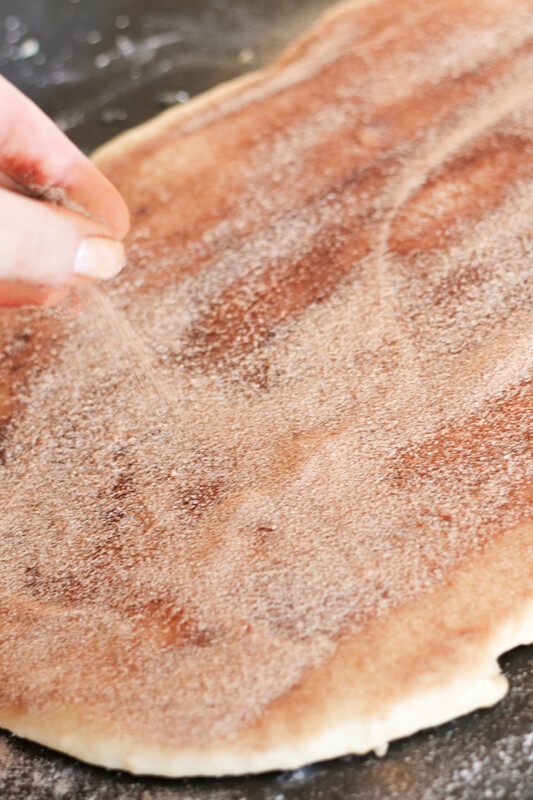 Roll up the dough tightly and place it in your greased loaf pan (we used 2 large 5×10″ pans). Repeat those steps with the second half of the dough. Let them rise, covered with plastic wrap or towel for 45 minutes. 8. Bake for 35-40 minutes (more or less depending on your oven) at 375 degrees. When the bread comes out of the oven, brush it with a little milk or melted butter and cool on a wire rack. Wait for it to cool a little before slicing. We love this bread served fresh with softened butter or even a spread of Nutella. 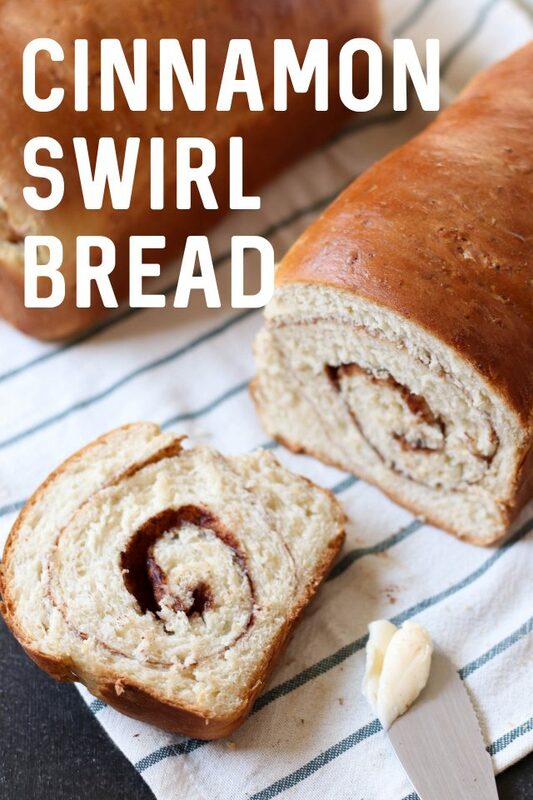 It would taste amazing with raisins rolled in their, too! 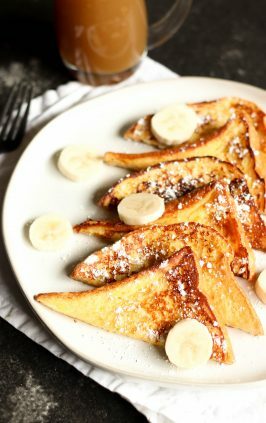 I also think it would make a great bread for this french toast. The original credit for this recipe goes to Camille’s husband Jared, who combined a few different recipes he found online to create this beautiful masterpiece. 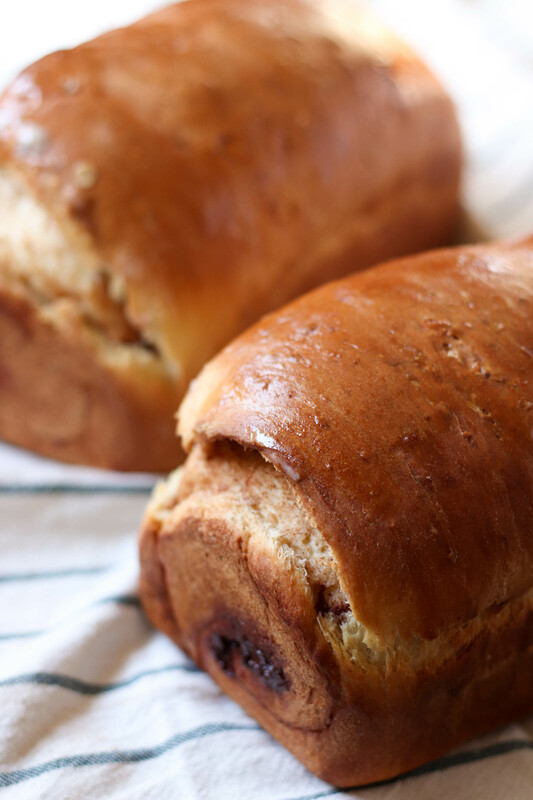 We think it tastes just like Great Harvest’s Cinnamon Swirl Bread, but we could be a little biased. In large mixing bowl mix together the milk, oil, sugar, salt, eggs, oats, and 2 cups of the flour (we mixed by hand or with a bread mixer). Then add in the yeast/water mixture to it and stir. Add the remaining 5-6 cups of flour and stir. Turn it out onto a floured surface and knead for 10 minutes until smooth. Form into a ball and set in a greased bowl. Turn dough to coat. Cover with plastic wrap and let rise in a warm place for 1 hour. 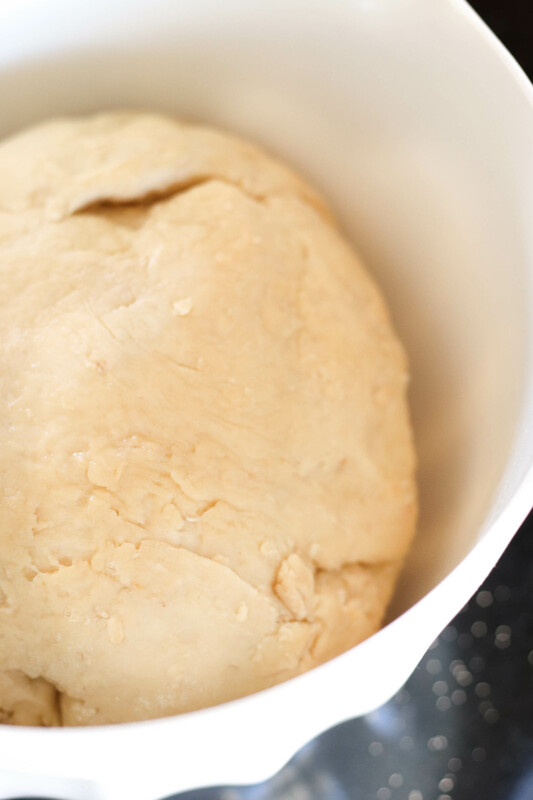 Punch down and take the dough out of the bowl and lay it on your kneading surface. Place the bowl over the dough and let it rest 10 minutes. Divide the dough in half and roll it out (we rolled the dough out to be the length and 2-3 times the width of the bread pans we were using). Mix together the sugar and cinnamon and sprinkle half of the cinnamon/sugar mixture on top (the kids loved helping with this part!). 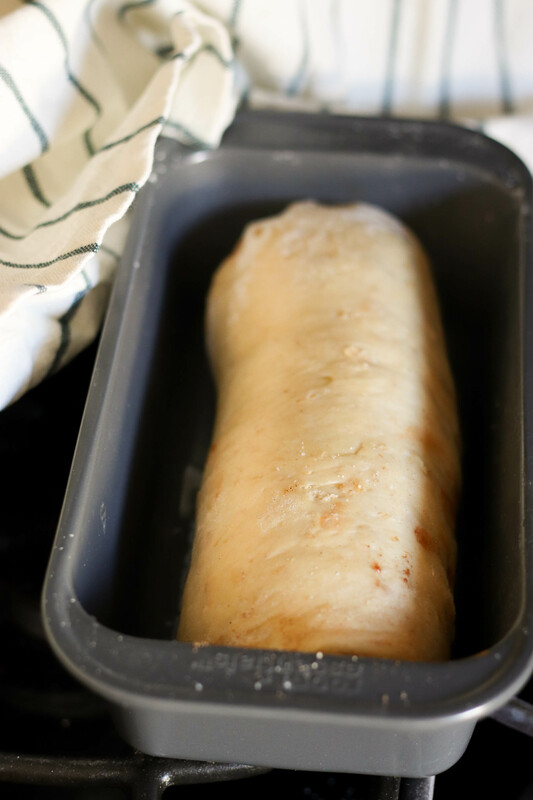 Roll up the dough tightly and place it in your greased loaf pan (we used 2 large 5" x 10" pans). Repeat those steps with the second half of the dough. Let them rise, covered with plastic wrap or towel for 45 minutes. Bake for 35-40 minutes (more or less depending on your oven) at 375 degrees. 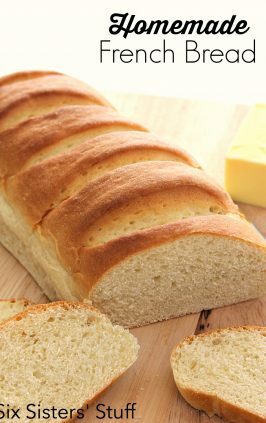 When the bread comes out of the oven, brush it with a little milk or melted butter and cool on a wire rack. Wait for it to cool a little before slicing. 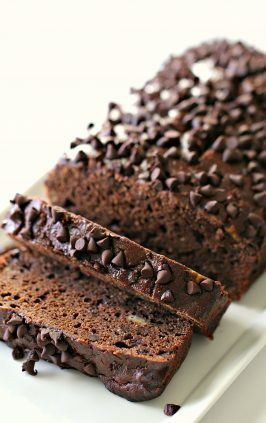 You can also use half wheat flour and half unbleached flour in this recipe. Hahahahha! Ain’t no shame in having a manly bread game!! Hi--did you replace the oats with anything, or just leave them out completely? Thanks! 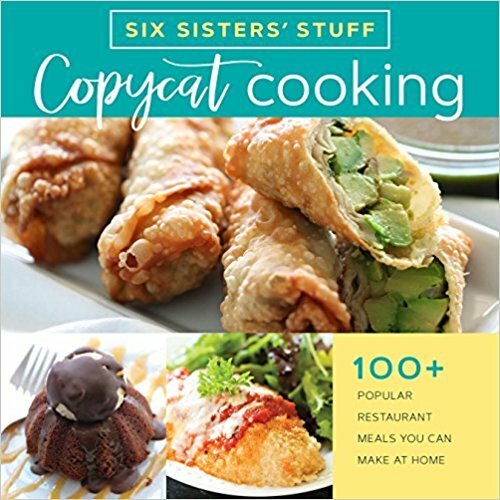 This looks great, and I can't wait to make it!